The Planning Commission approved a conditional use permit for a 960 square foot two-story accessory dwelling unit in the rear of 615 Monroe Avenue. Jeff and Heather Gray propose adding a unit with a garage on the first floor and a dwelling unit on the second floor. The applicant proposes to remove the existing shed to build the 960 square foot accessory structure. The proposed structure will be less than 45% of the floor area of the principal building, be located six feet from the alley, five feet from the side lot lines, and 15 feet from the primary structure, and have a height of 23 feet and 1 inch. 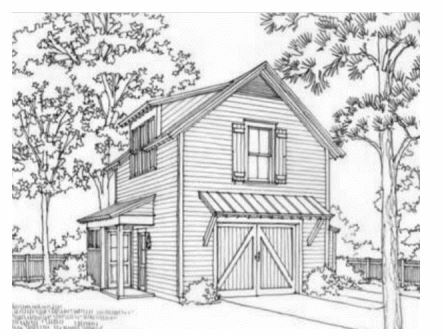 There is the availability of off-street parking for the accessory dwelling unit, which can be accessed from the alley in the rear of the property, and/or from Monroe Avenue. The applicant has stated that they have no plans to rent the property at this time and that the accessory dwelling will create a place for guests to stay when they visit.